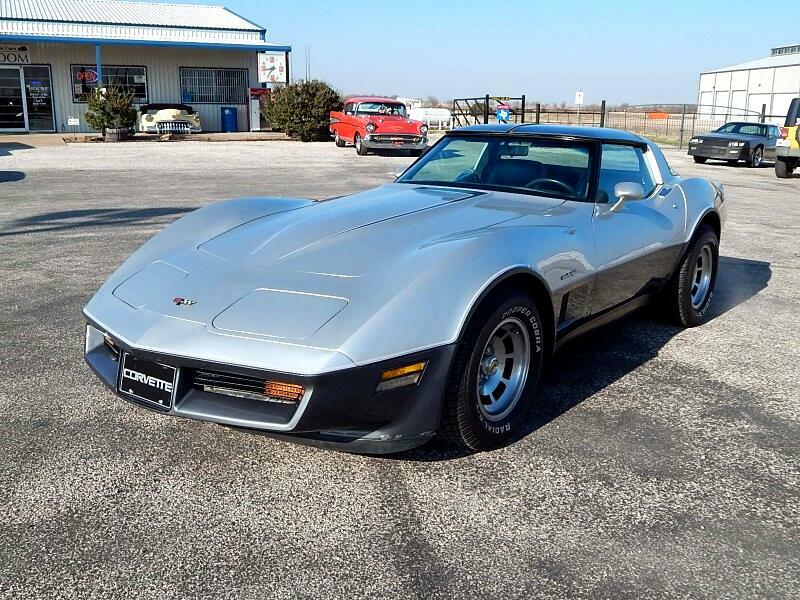 Lone Star Muscle cars is proud to present this super nice 1982 Chevrolet Corvette. Here are some cool facts about the 82 Corvette this is the last year for the body style and the first year since 1965 a Corvette had a fuel injection system. On the exterior you will see a low production two tone paint in Silver and Dark Gray this was only offered in the 81 and 82 models since the concave sides of the late 50's and early 60's Powered by the 350 V-8 motor with the all new Cross Fire Injection System make this car super fun to drive.Power Steering Four Wheel Power Disc brakes and so much more. Message: Thought you might be interested in this 1982 Chevrolet Corvette.